Were you or someone you know involved in a motorcycle accident in Poway? For almost two decades the Poway motorcycle accident lawyers at Walton Law Firm have assisted residents throughout the San Diego area in serious injury matters. We understand that there is a mix of emotions after being involved in one of these incidents. Unfortunately, motorcycle accidents tend to cause more serious injuries than other motor vehicle accidents, and remain one of the leading causes of death for young people in San Diego County. Many local residents are unsure what they should do to protect their legal rights after these accidents. That is where we might be able to help. Walton Law Firm is available for a free consultation to explain how it might be able to help you recover for your losses. Feel free to contact Randy Walton directly at (866) 607-1325 or (760) 571-5500 to discuss your case. The firm can also be reached anytime using our online questionnaire. Do I have to file a lawsuit to recover for my losses? We will never file a lawsuit without your express approval. In fact, not all accidents require that a lawsuit be filed before you can recover for your losses. Assisting people throughout the Poway area, our motorcycle accident attorney can work on your behalf with an insurance company or the other driver’s attorney to reach a fair agreement in a timely manner. More cases than not are concluded without the need to go through a lengthy court process. However, we are committed to acting as a zealous advocate on your behalf and pursuing the case as far as necessary to ensure that you recover for your losses. If you are injured in one of these motorcycle accidents through the fault of another driver then we can help you recover for a variety of losses. The most common form of damages that a victim will seek are known as economic damages. These are for items that have a fixed monetary value, like property damage, lost wages, and medical expenses. In addition, in some cases it is appropriate for your Poway motorcycle accident attorney to seek non-economic damages. These are usually sought on a case-by-case basis depending on one’s unique situation. Non-economic damages are more difficult to determine because they are not connected to a fixed monetary loss. These cover things such as pain and suffering, loss of companionship, and emotional distress. How long does it usually take to resolve? If a case is settled without the need to go through a lengthy court process than it can often be settled within several months. However, if more aggressive tactics need to be taken, then it is possible for the resolution to take much longer to be finally resolved. It is not uncommon for a lawsuit and trial to take a year or even longer to be finished. Are there rules about how long I have to pursue my claim? As with most types of legal claims, there is a statute of limitations in California that requires motorcycle accident victims to file their claim in a timely fashion. In most cases the law requires victims to file suit within two years after the accident to recover for personal injuries. However, if a public entity is involved then suit may need to be filed within 6 months. These requirements make it important to contact a motorcycle accident lawyer in Poway to protect your rights as soon as possible. 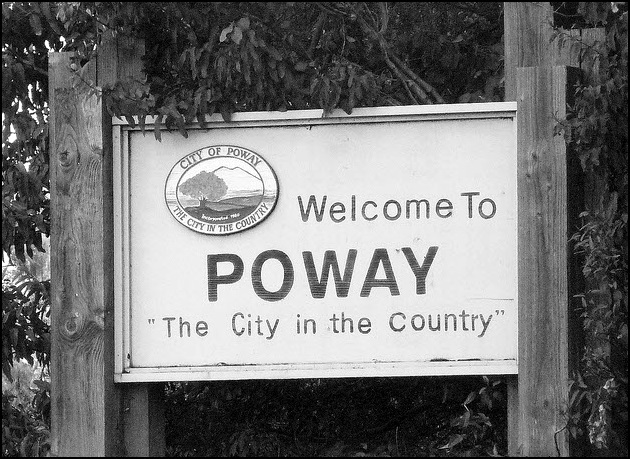 Located in the center of San Diego County, Poway is a relatively new city in that it was only officially incorporated in 1980. However, residents have lived in the area for a long time before that. Known for its rural roots, the city is the site of a variety of architectural findings dating back to its 16th century inhabitants. In fact even today the city has maintained its perception as a classic old-Western community. The Poway motorcycle accident attorney at the Walton Law Firm has helped many victims who are injured through the negligence of others. We take pride in working closely with each client to ensure that close personal attention is provided to each case and all legal options are vigorously pursued. Please give us a call or contact us online to learn how we can help in your case.